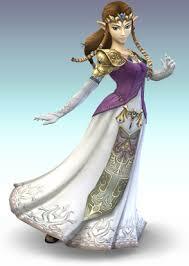 If Zelda was female, do you think he would be able to save the princess? Link was the male... Zelda was female.... confusion much? That is LINK not zelda. Zelda is the princess. For those who don't know. Zelda uses a sword, shield and slingshot, for those who are unaware. If he was female, what weapons would he use? you would think she would learn and go live with him lmao!!! If he was a woman, what would he use instead of the whistle to attract men? If Zelda was female, he'd probably wear a pink suit and skirt instead of the green one. Zelda is a rip off, of Mario. so you thing jumpin on a turtle isnt violent!!! yea.. and he is beating his head to the bricks. "so you thing jumpin on a turtle isnt violent!!!" The turtle doesn't mind. He pops his head out again and keeps turtling. isnt very nice to watch to violent for me :P!!! Douchebag, you are incorrect. I am not sure who informed you that Zelda is female, but you are mistaken. Maybe the man is making you believe so, but brother Hema Fanboy is right. NOOO zelda is the hoe he but fckes at the end ov every game mann -_-! !